Abbey Conservatories are a leading conservatory-building company that will transform your conservatory ideas into a reality. We have many years of experience installing a wide range of beautiful conservatory styles in Reading, Wokingham, Windsor, Ascot, Henley, Bracknell, Basingstoke, Berkshire and the Thames Valley areas. Our stunning Orangery and LivinRoom ranges are ever popular choices for Reading homeowners, offering cost-effective and stylish alternatives to an extension, with additional light and a beautiful area to entertain visitors and guests. As part of the Abbey Windows group, our customers range across Reading, Wokingham, Basingstoke, Henley, Berkshire, the Thames Valley and beyond, with many of our projects arising through recommendations. Finding a superb conservatory in Reading is easy with Abbey, as our own installation team have been installing a wide range of conservatory styles for many years and have subsequently built an excellent reputation locally for installing high quality products. Extending your property is simple with our extensive conservatory range, bringing natural light into your home and adding significant value at a cost-effective price. Prospective home-buyers are always drawn to Reading properties with a conservatory extension! As a proud member of the Double Glazing Network, you can rely on Abbey to deliver incredible results with a reliable and honest service. Sourcing the perfect conservatory in Reading for your home is incredibly important, and finding the best installer is equally as vital for the ideal outcome. The Double Glazing Network chooses only the most respected installers in the industry, thoroughly vetting its members to ensure a high-quality service is consistently achieved every time. 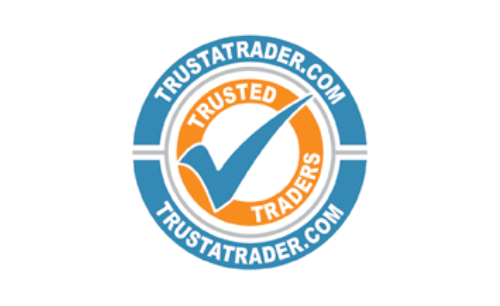 We are delighted to be accredited by the network, as we share their commitment to making sure every customer receives the best service possible, at the right price. We understand the importance of finding a conservatory installer that is reliable and will treat your Reading home with courtesy and respect, which is why our service is consistently unrivalled in the Reading and Berkshire areas. A Lean-To Conservatory is a popular and cost-effective option that is both elegant and sophisticated. 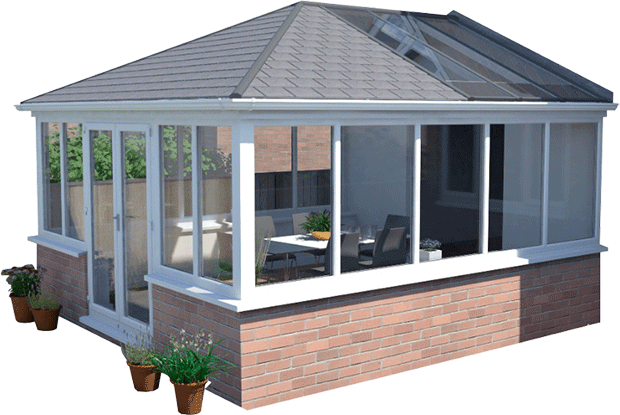 An excellent option if you have limited space, a Lean-To Conservatory accommodates properties with height restrictions such as bungalows and terraced housing. Perfect for a property with traditional aesthetics, a Victorian Conservatory style is configured with a choice of either a three or five facet design for optimum versatility. Enjoy superb views our beautiful Victorian Conservatory range, available in many colours. Available in either a square or rectangular shape, an Edwardian Conservatory makes perfect use of your building space. Create a unique area for a dining room, living room or even a playroom for your children to enjoy throughout the year. Create a sense of grandeur with one of our Gable -End styles. High-angled roofs encourage maximum sunlight, and specific detailing is available for additional charm and character, further complementing your property. 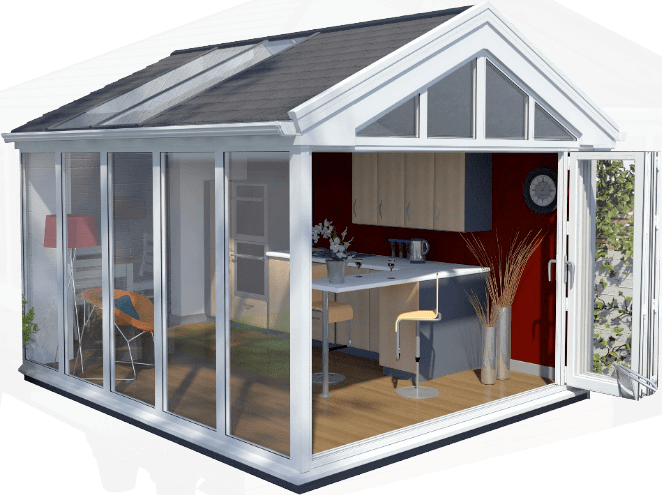 Choose an entirely Bespoke Conservatory design using our latest CAD services if you’re looking for something unique, as our designs are created to combine use of space with originality, capturing your imagination. For increased privacy, take a look at our beautiful Orangery Conservatory range. They are extremely thermally efficient, making them fully usable all year round, and you will still benefit from maximum light and space. Having worked with Abbey window since nearly the beginning They never fail to impress me with the quality of product, craftsmanship, professionalism and general efficiency that runs through the whole company. We use Abbey windows often and when we do they offer us peace of mind knowing that when they are instructed the job will be done well and on time and with a great aftercare. - Dunne & Co. Ltd.
We have visited the showroom on two occasions, once without booking an appointment. Both visits were positive experiences and the front room staff were both welcoming and knowledgeable. Anna, in particular was extremely helpful and offered me a chair without waiting for me to ask. On our 2nd visit Andrew helped us through the complexity of the ordering process and he proved to be a mine of information. Abbey sell good products and give an excellent service. They also have a good showroom. We have worked closely with Andy from Abbey Windows over the years on many different events for varying charities and his support and enthusiasm is second to none. These charities really have benefited from his dedication. I have also used Abbey Windows on a personal level and have found their service, install and after care support absolutely fantastic. No need to look any further than these guys! Choose Abbey for impressive conservatory prices! 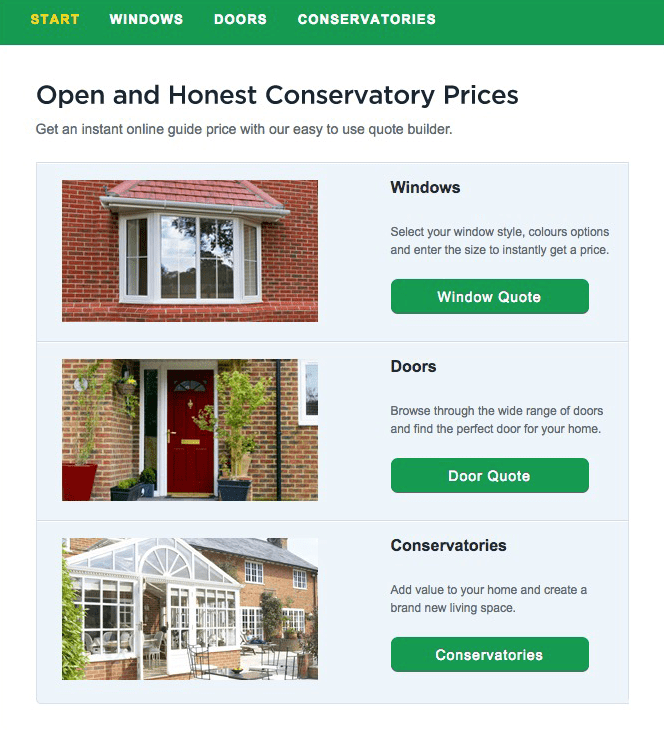 Start your instant online quote today to find out the cost of specific conservatory designs, it’s very simple and only takes a minute of your time. Choose your style, enter your sizes and get an online guide price. Alternatively, get in touch today on 0118 958 2839, our friendly team are always happy to assist you with expert conservatory advice. You can also contact us online, by filling in our online contact form for a quick response.